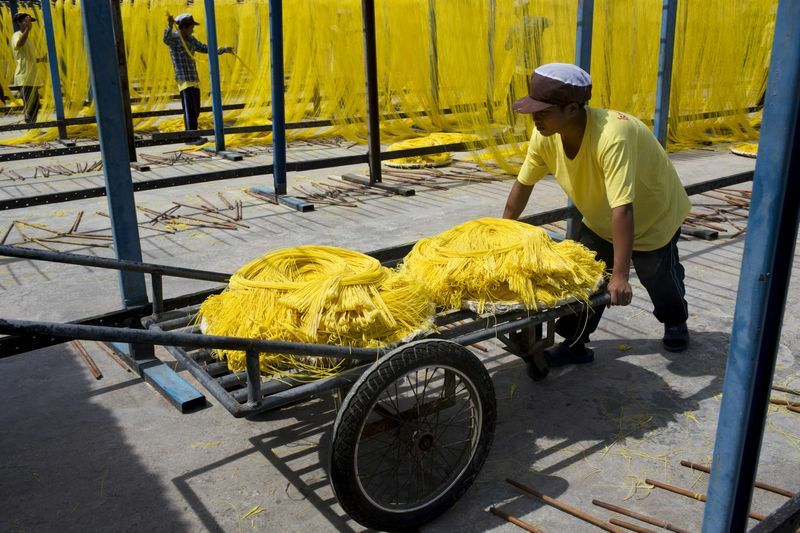 A worker pushes a cart of sun-dried noodles at a noodle factory in the Ban Pong district of Ratchaburi province, Thailand. Thailand said it will raise its minimum wage nationwide for the first time in five years, as the country’s military government tries to tackle lingering income inequality. The wage will climb from April by 5 baht (16 cents) to 22 baht per day, depending on location, Jarin Chakkaphark, permanent secretary for labor, said in a briefing late Wednesday in Bangkok. The revised daily range of 308 baht to 330 baht is about 2 percent to 7 percent higher than current levels. “Wages have to rise with economic conditions — the cost of living and economic growth in each province,” Jarin said. Prime Minister Prayuth Chan-Ocha’s administration earlier this week approved a 150 billion baht ($4.7 billion) supplementary budget, partly to fund poverty alleviation initiatives. The steps to help people on low incomes come ahead of possible elections in November, amid speculation about whether self-professed soldier-turned-politician Prayuth will attempt to garner enough support to emerge as premier after the polls. The planned wage hike will be put to Cabinet soon, and officials will seek flexibility on the stipulations for provinces in the government’s flagship $47 billion dollar Eastern Economic Corridor development project, according to Jarin. 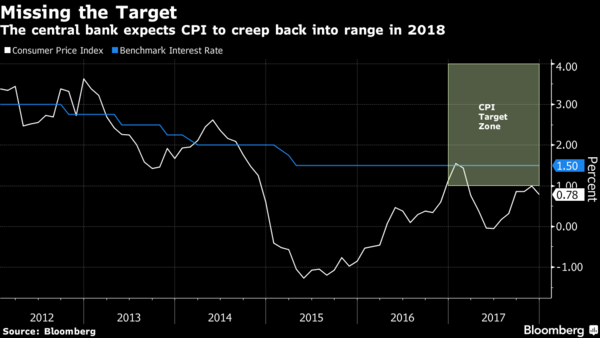 The wage hike will likely have a limited impact on inflation, Kampon Adireksombat, chief economist at Kasikorn Securities Pcl in Bangkok, said in a note ahead of the announcement. The boost is smaller than increases of 39 percent in 2012 and 22 percent in 2013, Kampon said, adding the sectors at greatest risk of higher costs include agriculture, construction, hotels and restaurants, wholesale and retail trade, and manufacturing. The Bank of Thailand has struggled to achieve its inflation target of 1 percent to 4 percent. The monetary authority expects to achieve the goal in 2018, predicting an average rate of 1.1 percent. Inflation is set to accelerate this year, driven by better domestic demand, higher energy prices and costlier food, Tim Leelahaphan, an economist at Standard Chartered Bank in Bangkok, said in a note Thursday. The minimum wage was increased for 2017 but the step didn’t apply to the whole country. 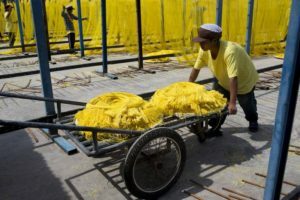 Inequality continues to pose major challenges in Southeast Asia’s second-largest economy and pockets of poverty persist in the northeast, north and deep south, according to the World Bank. Thailand has been run by a military administration since a coup in 2014.